Edenred’s offer meets a company’s every need for Fleet & Mobility solutions, from the optimization of vehicle fleet servicing costs (fuel cards, toll or maintenance solutions, etc.) to employee travel costs (expense management cards, expense claim solutions). The Group also offers oil companies and all fuel retailers integrated solutions to manage their fuel cards and loyalty programs, either in the form of IT services, or through the resale and complete administration of these programs. With an offer of more than 35 solutions rolled out in 20 countries, Edenred is one of the world's leaders on the Fleet and Mobility solutions market. The Group has developed broad expertise in fuel cards, with more than 20 years of experience in Latin America and by speeding up its development in Europe and Asia. As well as fuel payment solutions, Edenred also proposes solutions for toll and parking expenses, washing, maintenance and assistance services. Companies can also use control tools and benefit from consolidated invoicing for VAT reimbursements. Edenred offers a broad range of pre- or post-pay cards that are accepted in extensive networks. The Group also proposes platforms for fuel retailers to manage their loyalty cards and programs, IT services and the resale or complete administration of programs. The Ticket Car card, mainly offered in Latin America, is made available to employees by employers to cover their fuel costs during business travels. This solution has been expanded to include maintenance costs, making it a real vehicle fleet management tool. Ticket Log is the leading fuel card and maintenance solution offer on the light vehicle fleet market and number two on the heavy goods vehicles market in Brazil. It includes Ticket Car, Ticket Fleet and Ticket Cargo, depending on the client and vehicle segment. Light vehicles: vehicles whose gross vehicle weight rating is less than or equal to 3.5 tons. Heavy vehicles: vehicle whose gross vehicle weight rating exceeds 3.5 tons. Edenred is speeding up its growth in Europe thanks to UTA, a leading player on the vehicle fleets market. UTA’s fuel cards are accepted in a network of almost European 40,000 service stations. They can be used to pay for fuel and tolls and monitor travel-related information, and provide access to assistance and maintenance services. UTA is the number two Europe-wide player specialized in multi-brand fuel cards, toll and maintenance. In November 2018, Edenred entered the UK Fleet & Mobility Solutions market by acquiring The Right Fuelcard Company (TRFC), the number four fuel card program manager in the United Kingdom. TRFC provides its 27,000 corporate clients with innovative fuel and fleet management solutions for heavy and light vehicles. Thanks to its strategic partnerships, the company’s 150,000 card holders can fill up in 90% of the service stations in the UK. Edenred entered the French market in 2014 through its subsidiary La Compagnie des Cartes Carburant (LCCC), which is number 2 on the market. 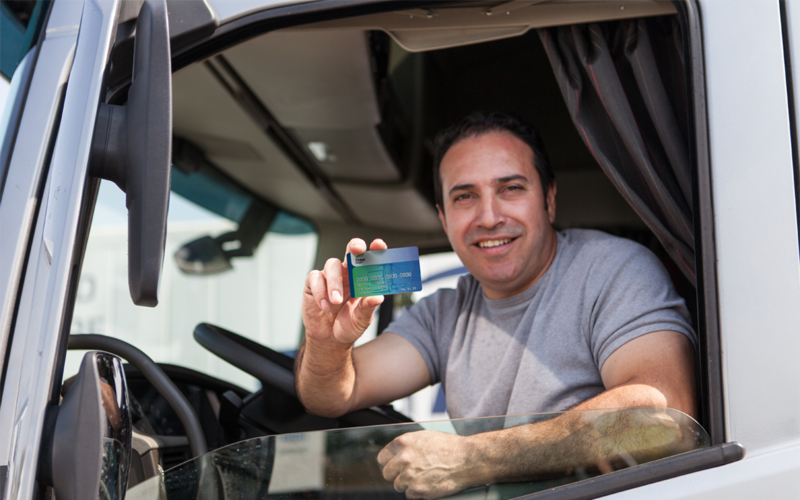 LCCC is the only independent company on the French market offering fuel cards for companies. 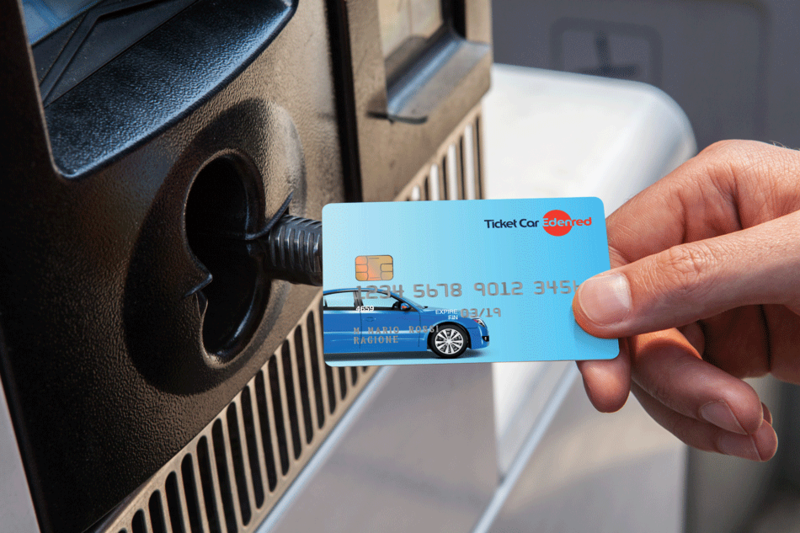 Accepted in 3,000 service stations, the LCCC offer covers the configuration, distribution and resale of fuel cards. Based in Malaysia, Cardtrend operates white label fuel cards for the oil sector's key players in Malaysia and South-East Asia. It provides its clients with tailor-made software for managing the fuel cards which they issue and distribute, as well as their loyalty programs. Business expenses incurred by employees in the course of their activities represent a significant expense item for employers. Managing them is often costly and time-consuming for companies. Edenred designs and offers easy-to-use solutions for transparently and cost-effectively managing business expenses incurred by employees in connection with their work. In Poland, Romania, Mexico, France, Italy and Spain, Edenred proposes solutions to simplify the management and control of employee travel expenses before, during and after business travels (plane and train tickets, hotels, meals, etc.). This offer includes payment cards as well as modules to manage expense claims and online bookings. Employers have access to a management and reporting portal that can be configured in line with their travel policy. The Group proposes platforms for fuel retailers to manage their loyalty cards and programs, IT services and the resale or complete administration of programs. Edenred contributes actively to volumes sales growth and proposes a wide range of services to oil companies and independent fuel retailers: software platforms, IT or Business Operations outsourcing services, reselling and/or fully managed card programs. Already number one in Latin America, Edenred took a further step in Europe when it increased gradually its stake in UTA also when it finalized the acquisition of TRFC. Since 2014, Edenred is present in France with its subsidiary La Compagnie des Cartes Carburant (LCCC). Edenred is as well a key player in Asia, leveraging Cardtrend, a specialist provider of Fuel & Fleet and Loyalty back-office platforms for the fuel retail industry for over 15 years. Cardtrend is able to interact with the entire fuel retail eco-system. Cardtrend handles for leading oil companies in South-East Asia over 10 million fuel and loyalty cards and processes over 35 million transactions on their behalf.